I don't know about you, but I thrive on routine just as much as my students do. 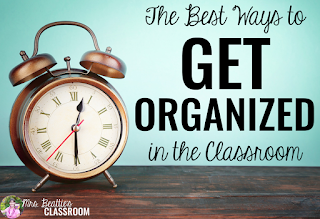 Having a predictable classroom schedule and procedure for the things that happen every day just takes so much of the work out of these things. When your students know what is expected of them throughout the day, they can manage without a million questions. Classroom dismissal time can be the most challenging of all, but I have help for you! My advice... decide how you want things done and POST IT!! I'm sure there are others that could be added to this list, but these are some of the most important. 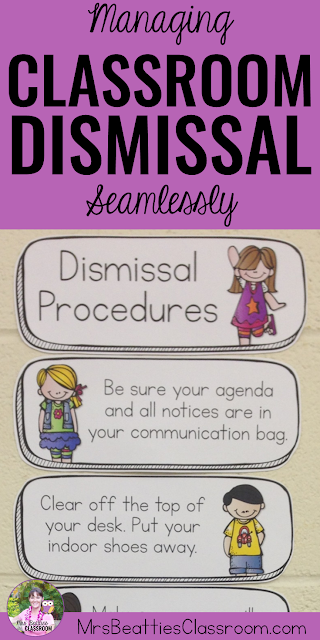 Not only will it make life easier for you and your students, but your substitute teachers will thank you! Classroom dismissal doesn't have to be hectic!! 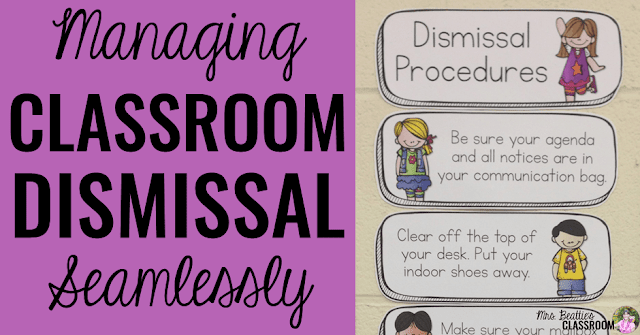 Grab these editable Dismissal Routines Posters, customize them for your classroom, and say goodbye to end-of-the-day headaches! 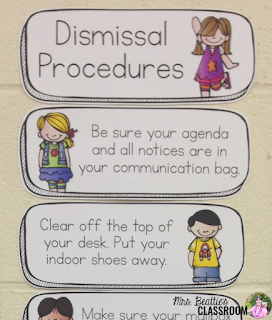 Love the idea of hanging the procedures and agree with your list of activities that require procedures. The worst thing to happen in Grade 1 - when we need to change procedures!!! I completely agree! When our routine changes for whatever reason some of my kids go completely off the rails!